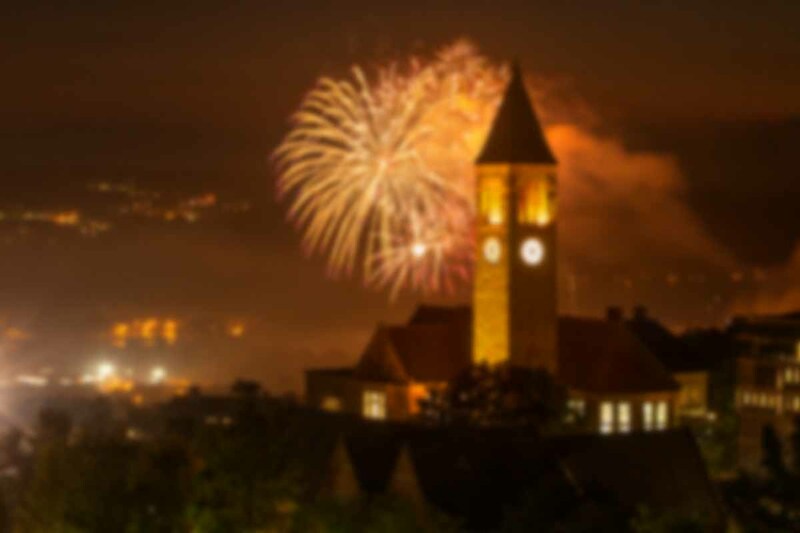 A whole weekend of celebration is coming on March 10 – 12! Join us in celebrating Gamma Chapter’s 90th anniversary. Explore our chapter’s history, meet generations of Gamma alumni, and bond with us over fellowships and service events. Ninety years is a big milestone. And a big milestone deserves a big celebration. 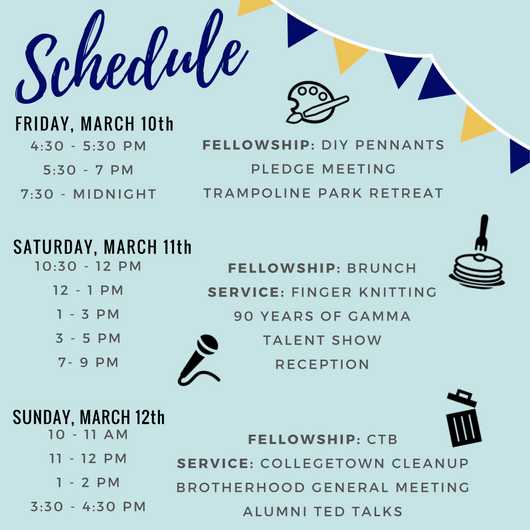 For Gamma’s 90th, we planned a weekend-long extravaganza with three days of events. A lot has happened for Gamma in 90 years, and you can explore it all in our very own pop-up museum! You can piece together our giant charter puzzle, find messages in the old logbooks, and even read through some of the original proposals from the debate over allowing women to join APO back in the 70s! Our amazing alumni are speaking at a special Charter Weekend Edition of the BWSS TED Talks! 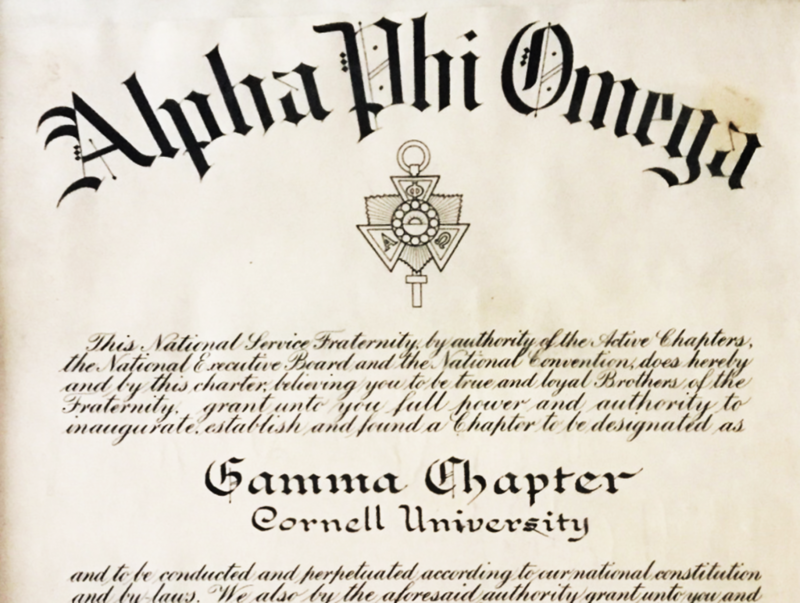 Charter Weekend isn’t just about celebrating the ninety years since the signing of our charter – it’s also about the remembering the ninety years of leadership, friendship, and service that our chapter has seen. For Charter Weekend, we opened up the Gamma archives to find photos from throughout our chapter’s history. If you would like to explore our chapter’s history through photographs, be sure to come to our Pop-Up Museum on March 11 in the Willard Straight Memorial Room, from 1 to 3 PM. You can piece together our giant charter puzzle, find messages in the old logbooks, and even read through some of the original proposals from the debate over allowing women to join APO back in the 1970s! Photography and illustration credits to Rick Bojko, Mahfuza Shovik, Robert Barker, and Catherine Wei.